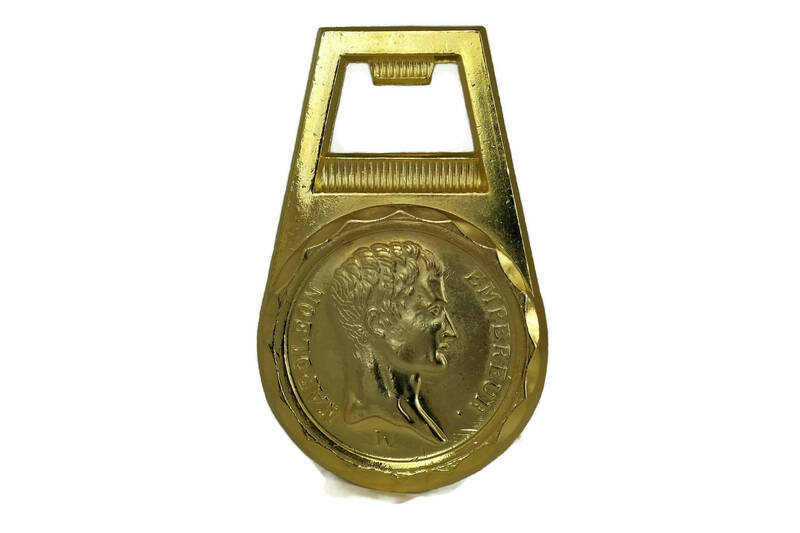 A vintage Napoleon beer bottle opener dating to the 1970's. 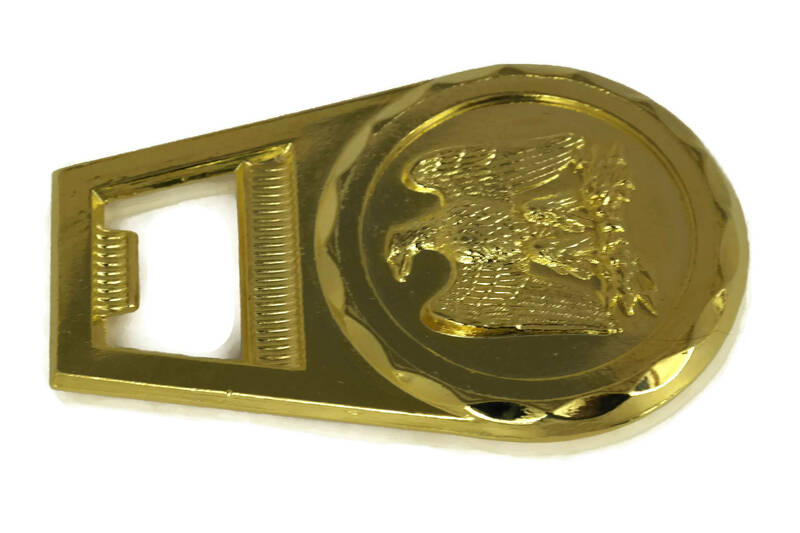 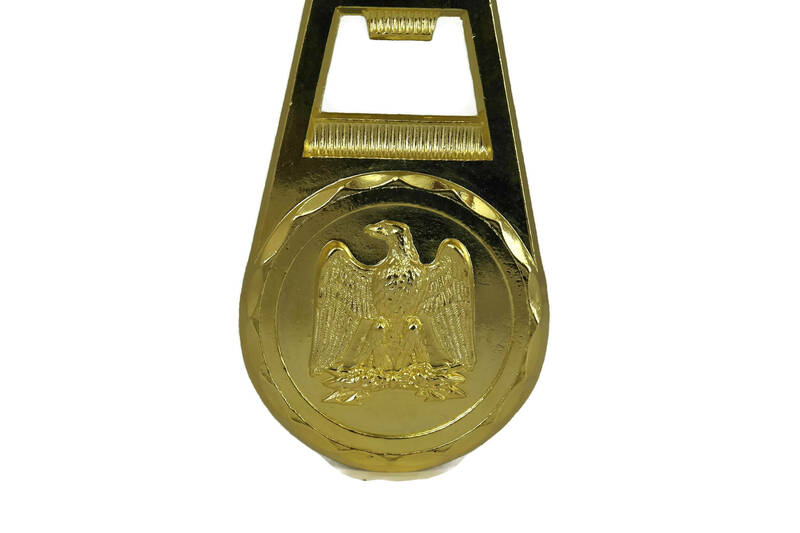 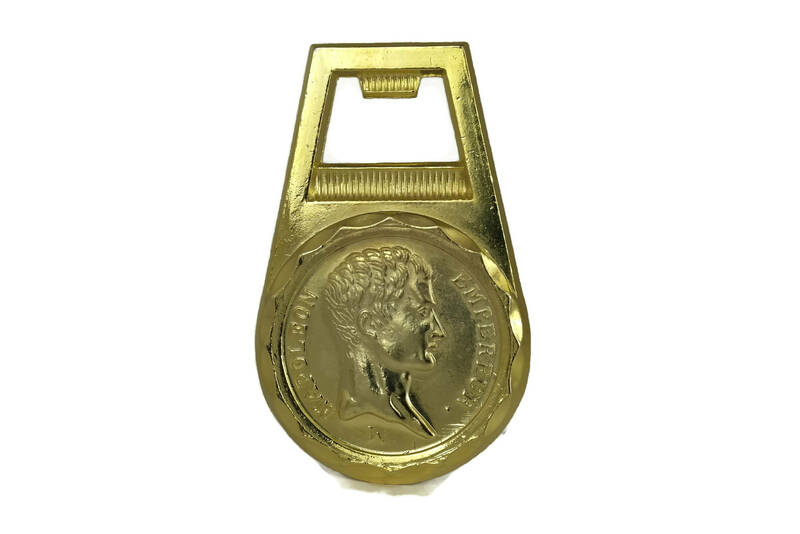 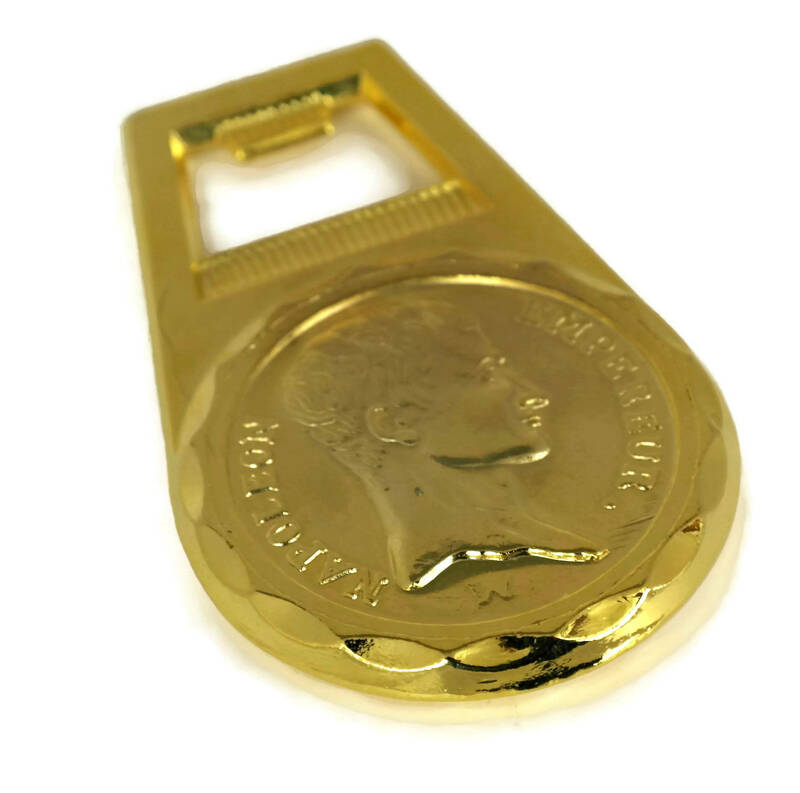 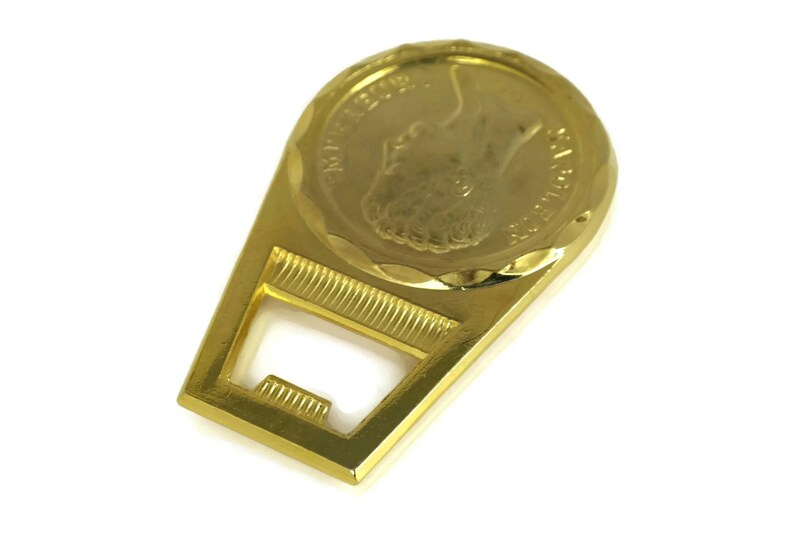 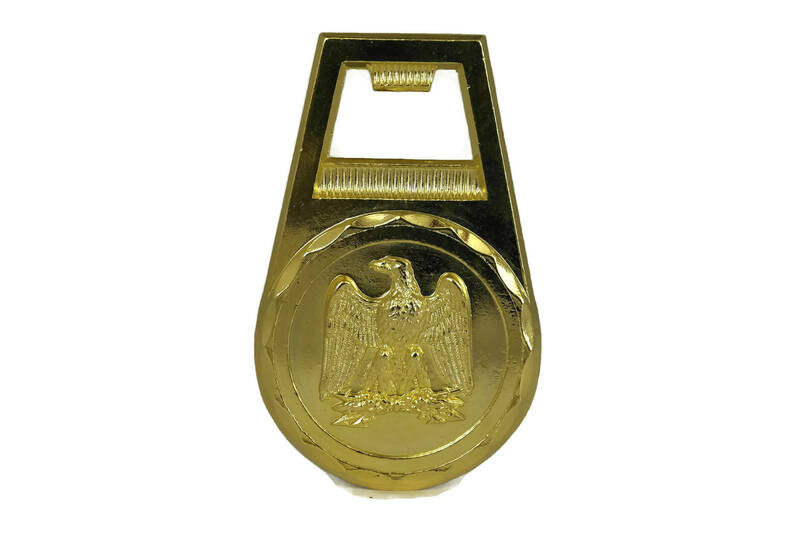 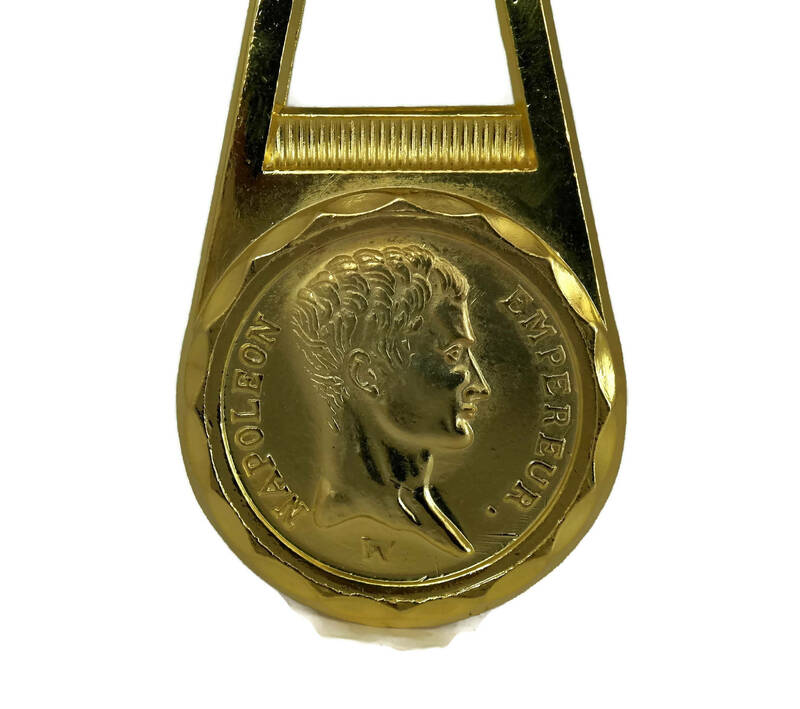 The French bottle opener has been created in the form of a replica of a large French antique gold coin. 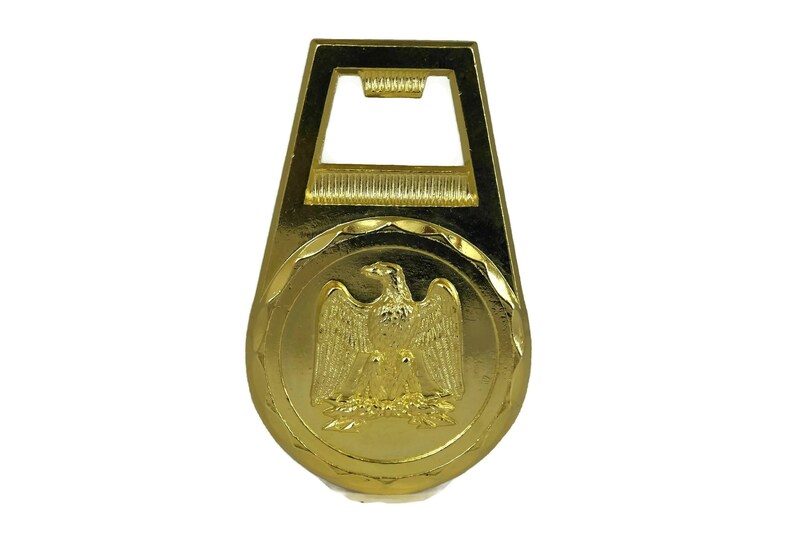 The head side portrays the profile of the Emperor Bonaparte and the tale side an eagle resting on a branch. 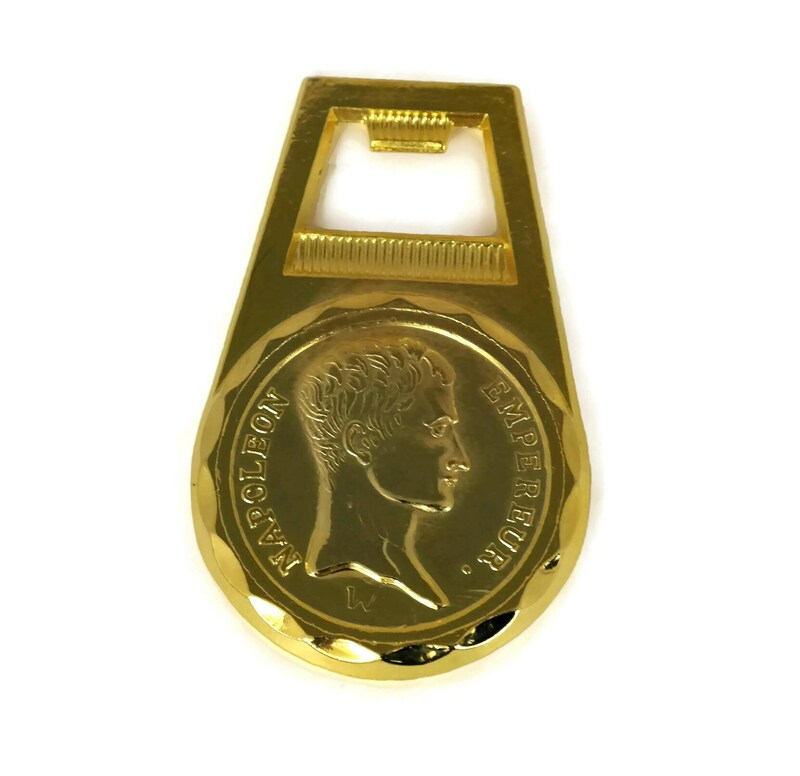 The bottle opener is in very good vintage condition with light surface scratches.